When it comes to film preservation, no distribution company beats the efforts of the Criterion Collection. Together with Janus Films, Criterion has restored and released a line-up of foreign and art-house films so unprecedented, it nearly boggles the mind. Granted, Criterion has signed contracts with a few studios to release some pretty questionable films (Armageddon? Seriously? Get out of here, Michael Bay!) but I can overlook that because the library is so chalk full of artistic and cinematic merit that it prevents the sore thumbs from sticking out. I always know a Criterion film will be high quality. Since 1984, the Criterion Collection, a continuing series of important classic and contemporary films, has been dedicated to gathering the greatest films from around the world and publishing them in editions that offer the highest technical quality and award-winning, original supplements. Over the years, as we moved from laserdisc to DVD, Blu-ray disc, and online streaming, we’ve seen a lot of things change, but one thing has remained constant: our commitment to publishing the defining moments of cinema for a wider and wider audience. 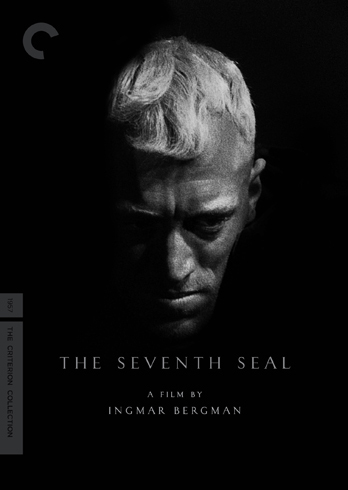 The foundation of the collection is the work of such masters of cinema as Renoir, Godard, Kurosawa, Cocteau, Fellini, Bergman, Tarkovsky, Hitchcock, Fuller, Lean, Kubrick, Lang, Sturges, Dreyer, Eisenstein, Ozu, Sirk, Buñuel, Powell and Pressburger. Each film is presented uncut, in its original aspect ratio, as its maker intended it to be seen. Every time we start work on a film, we track down the best available film elements in the world, use state-of-the-art telecine equipment and a select few colorists capable of meeting our rigorous standards, then take time during the film-to-video digital transfer to create the most pristine possible image and sound. Whenever possible, we work with directors and cinematographers to ensure that the look of our releases does justice to their intentions. Our supplements enable viewers to appreciate Criterion films in context, through audio commentaries by filmmakers and scholars, restored director’s cuts, deleted scenes, documentaries, shooting scripts, early shorts, and storyboards. To date, more than 150 filmmakers have made our library of Director Approved DVDs, Blu-ray discs, and laserdiscs the most significant archive of contemporary filmmaking available to the home viewer. 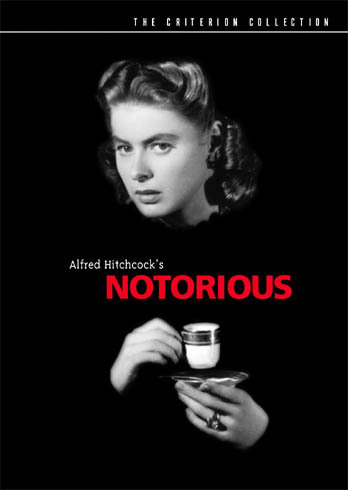 The first Criterion dvd that I ever got for my personal collection was Alfred Hitchcock’s Notorious, starring Ingrid Bergman and Cary Grant (unfortunately this film has since been discontinued, along with another of my favorite Hitchcock films, Rebecca). Later, as a film student in college, nearly every foreign film that was screened in class was a Criterion dvd. 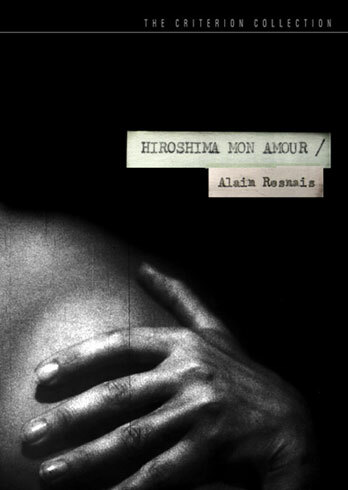 Through Criterion, I was introduced to films such as Tokyo Story, Les Cuatre Cents Coups, Cleo from 5 to 7, Nights of Cabiria, Hiroshima Mon Amour, Ugetsu, and M, among others; all films that I could never find at Blockbuster. I was hooked. Imagine my delight when I discovered that DVD Planet in Huntington Beach had the entire Criterion Collection in stock! Each DVD comes with an essay by a film historian called “From the Current” which goes behind the scenes on the making of the film, what sort of impact it had upon its initial theatrical release, and why it’s important to film history today. I love reading background details like this about my favorite films, and it really enhances my viewing experience when I watch new titles for the first time. Did I mention the extras that are usually included on Criterion dvds? We get documentaries, behind the scenes footage, production stills, and other supplemental material that usually make Criterion dvds worth the few extra dollars on the price tag. One of my favorite extras was the documentary A Very British Affair which was included in the bonus disc on the film 49th Parallel starring Laurence Olivier, Leslie Howard, and Eric Portman. 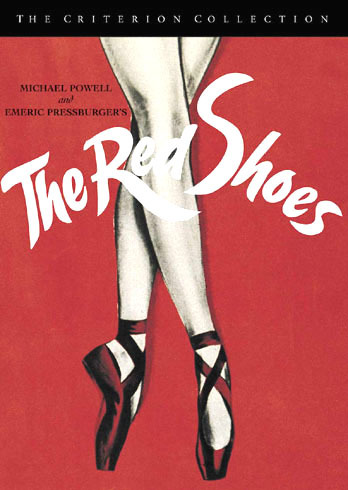 The documentary was about famed team Michael Powell and Emeric Pressburger, and it was such a gem. I don’t think I’d ever have discovered it if I hadn’t picked up that film. Another favorite was an interview between Laurence Olivier and Kenneth Tynan called Great Acting from 1962, which was included with the Criterion version of Olivier’s Richard III. All of these things serve to put the film and the actors’ and directors’ work into a greater cinematic context. 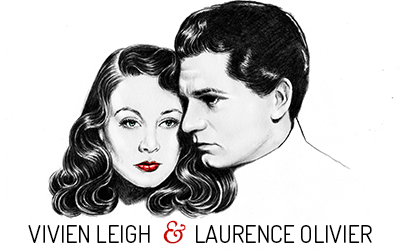 If you’re wondering how Criterion ties in with the theme of Vivien Leigh and Laurence Olivier, it’s simple: several of Olivier’s films have been released on dvd here in the US via Criterion. These include: Henry V, Hamlet, Richard III, 49th Parallel, Spartacus, and That Hamilton Woman. You can still rent the Criterion version of Rebecca on Netflix. In addition, Vivien Leigh’s 1945 film Caesar and Cleopatra has gotten the Criterion treatment and will be released as part of a George Bernard Shaw boxed set on February 23rd. Many of the films in the Criterion library are considered by many to be among the best ever made, and I know there are some that are among the best I’ve ever seen. 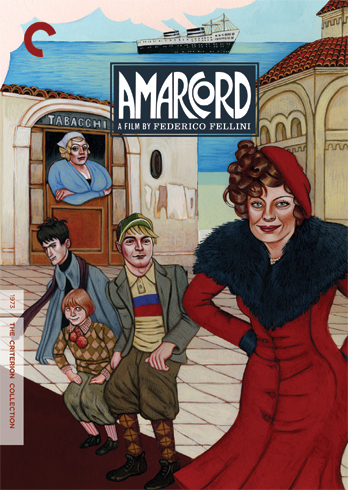 Thanks, for all the hard work, Criterion. You’ve done good. Real good. Criterion also has an online community for cinephiles called The Auteurs. If you’re a member, feel free to add me, I love new friends! Stay tuned every day his week for recommendations of my favorite Criterion films! Huzzah for Criterion! I hate that they have discontinued Notorious but luckily I have that and Rebecca in a bigger Hitchcock box set which has been good to me. Their cover art is unbeatable. Someday I will actually remember to register with the auteurs. Someday. Love Criterion, just bought myself Spirit of the Beehive this morning in fact. And am so glad to have found your blog, I’ve been in a Viv and Larry mood since watching Rebecca over the weekend. Sorry for the super fast reply–Kassy, I just watched Spirit of the Beehive on Netflix last week (well, half of it anyway)! What I saw was beautiful and I can’t wait to finish the rest! We are lucky to have Criterion carrying on the tradition of Paul Killiam and Blackhawk. You made a nice tribute. 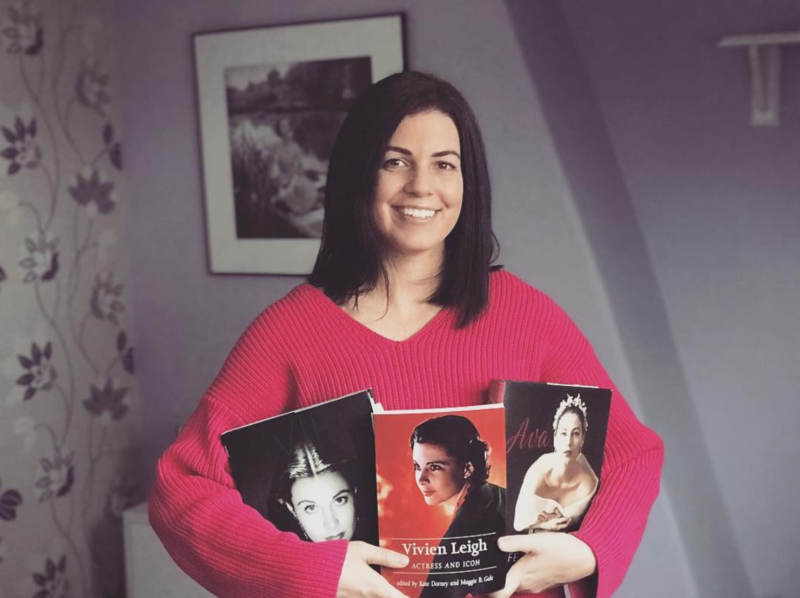 JD–I don’t like the essay by Molly Haskell so much because compared to other essays for other Criterion films it’s not very good, and I really don’t like all of her glaring factual errors in her writing about GWTW and Vivien Leigh. I think she ought to do more research on it. Ah well, it is a lovely film.